I had the great honor and privilege of being born into the greatest fighting force known to man: The United States Marine Corps. OOH RAH! As a Marine Corps Brat, you can imagine that I moved around a bit as a kid. I joke with my friends that the longest I had one address as a kid was my PO Box at West Point. Speaking of West Point, what is great and unheard of is that from my senior year high school english class, 5 of us graduated from West Point: 3 of my friends went straight to West Point, I went to the Prep School first, and another friend enlisted in the Army first, before heading to the Prep School, and then on to West Point. Attending the United States Military Academy Preparatory School first was the best thing that could have happened to me as a cadet. The Prep School taught me the true meaning of teamwork, duty, and leadership. When I went on to West Point's Cadet Basic Training, better known as Beast Barracks, because the Prep School was such a growing journey for me, Beast was like summer camp. I had a great time! In May 2000, one of the most joyous days of my life occurred; I graduated from West Point. Attending West Point is one of the best decisions I have ever made. Without going too far off on a tangent, I love West Point like I love my family! After graduating from West Point, I was an assistant basketball coach and executive Tactical Officer back at West Point's Prep School. I consider that 6 month period as West Point thanking me for a job well done. The times my friends and I had while at the Prep School were some of the best and most memorable of our lives. From the Prep School, I went on to Ft Sill, OK to attend the Army's Field Artillery Officer's Basic Course (OBC). That was an interesting time. Having gone from the Prep School, which was located on the Jersey Shore and a short drive from both NYC and Atlantic City, to Lawton, OK was a serious culture shock. Nonetheless, my friends and I made the most of it and had a great time. In the summer of 2001, I reported to 1st Howitzer Battery (Cobra), 1st Squadron, 2d Armored Cavalry Regiment (ACR) at Ft Polk, LA. My first assignment in the Cobra Battery was as a Fire Direction Officer. After holding that position for a year, I then became a platoon leader- arguably the best leadership position in the Army because it is the only time an officer is truly working directly with troops. For TRUE leaders, that is what matters most: being with soldiers. As a platoon leader is when 2d ACR deployed to Iraq in April 2003. 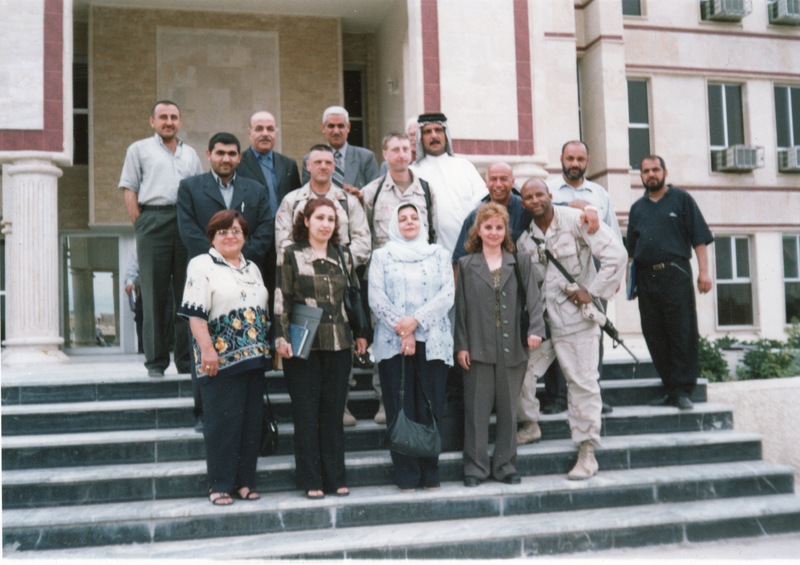 We spent a year in Baghdad (May 2003 - April 2004) and 3 months in Al Kut (April 2004 - July 2004). After 2 months in Baghdad, my squadron commander assigned me as the Squadron Fire Support Officer (FSO). Because we were not concerned with enemy artillery fires, I served as the squadron's principal civil military officer. Once I received this assignment, is when the real fun began. I have written an extremely fascinating book about my exploits that goes into several interesting details into the first year of Operation Iraqi Freedom that are not public knowledge, yet I remain unpublished. When we redeployed home in July 2004, I became the Deputy Chief of Training for Ft Polk and the Joint Readiness Training Center (JRTC). This position was a great deal of fun, and I learned a lot about every aspect of army garrison operations. The highlight was when I designed and oversaw the first phase of the Combined Arms Collective Training Facility (CACTF), which is used to train soldiers and Marines prior to deploying to Iraq and Afghanistan. After having proudly served 5 years in the United States Army, I resigned my commission and became an undercover civilian. The reason I left the Army, though I had a great time and still miss it everyday, was to enter the world of public service, commonly known as politics. My decision to return home to do so was an easy one. I could not imagine "doing politics" anywhere but in my home state of Virginia. Never do I regret the decision I made to enter public service. Doing good for others is one of the best things any of us can do and is a charge that GOD has placed upon all of us.